You've surely tried to install an app on more than one occasion, and you haven't been able to because it required root permissions. To get these permissions you need to root the device, which means that you need to have administrator or root access. You can now carry out this process with a simple app: z4root. 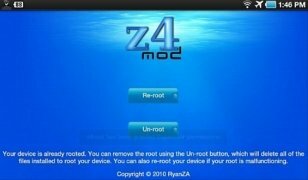 One of the advantages of z4root is how easy it is to use. Even if you're not a technology expert, you'll be able to root your terminal with z4root. To install the application, you first have to modify a few settings on your phone: in the Applications tab, within Settings, you have to tick the Unknown sources option, and in Development, you need to active the USB Debugging option. You're now ready to install z4root. Temporary Root: to root the handset temporarily. Permanent Root: to do so permanently. Un-root: to return the device to its original status, without rooting. 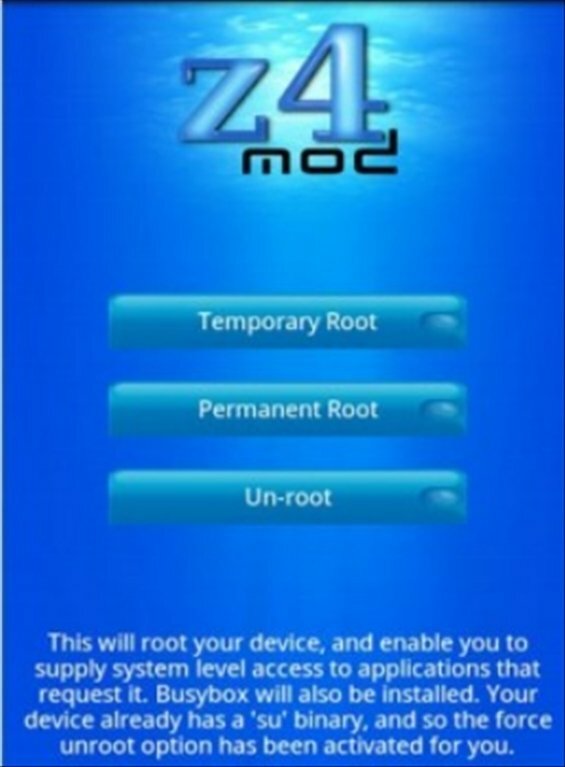 Now, thanks to z4root, rooting your phone will be a very easy and quick process.